St. Patrick and the Emerald Isle. Dramatic coastline. Historic towns and cobblestone streets. Pubs and parties. Folklore and green pastures… and castles. Hundreds of castles and manor houses dot the Irish countryside. They not only evoke Ireland's storied past. Many allow you to live out your inner fantasy world of warrior kings and legendary princesses during overnight stays. 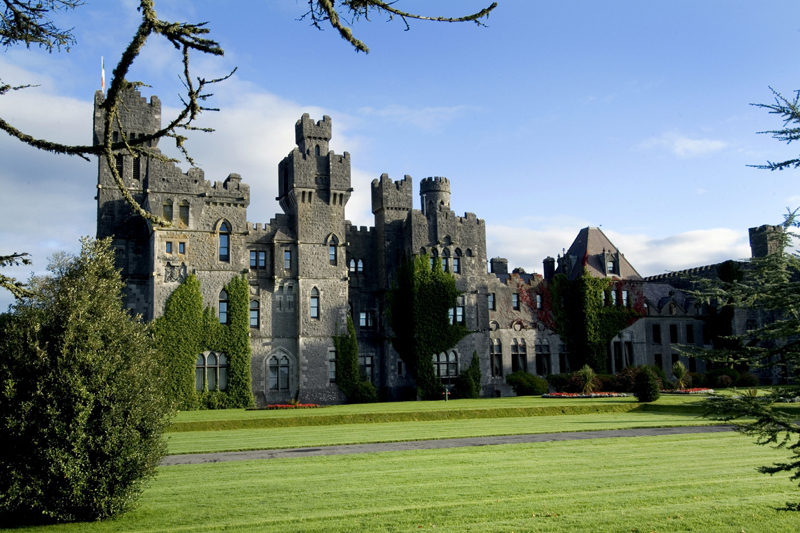 You'll be joining the illustrious ranks of not only early Irish nobility when you stay at Ashford Castle. British royalty, American presidents and sports and entertainment superstars have all stayed at 800-year-old Ashford Castle. It's a 5-star resort lifestyle in a magnificent French chateau style building on a 26,000 acre estate – complete with is own school of falconry, horseback riding, fishing, archery and clay shooting, as well as more modern pass times like a spa, golf, kayaking, tennis, tree climbing and zip lining. 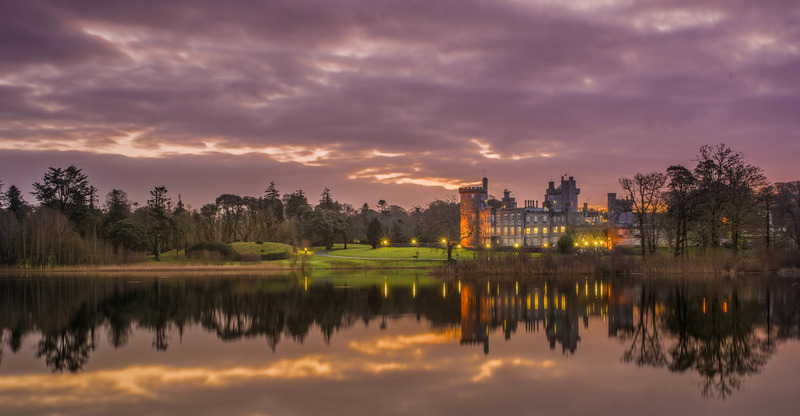 Ashford Castle has been voted the best resort in Ireland and one of the top three in Europe. Since the 1700's Earls of Bantry have occupied Bantry House overlooking Bantry Bay on Ireland's Wild Atlantic Way on the southern coast. You can stay in one of the finest historic manor houses in the country in luxurious bed and breakfast or self-catering style. 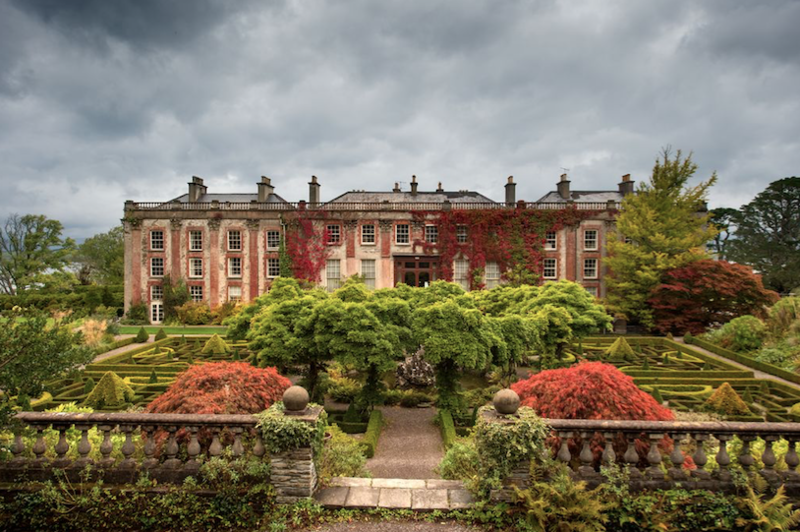 As well as the Wild Atlantic Way, you'll want to explore Bantry House's elegant gardens especially when the azaleas and rhododendrons are in bloom. The design is dramatic with seven terraces – the house is on the third terrace - 100 steps, and a fountain. 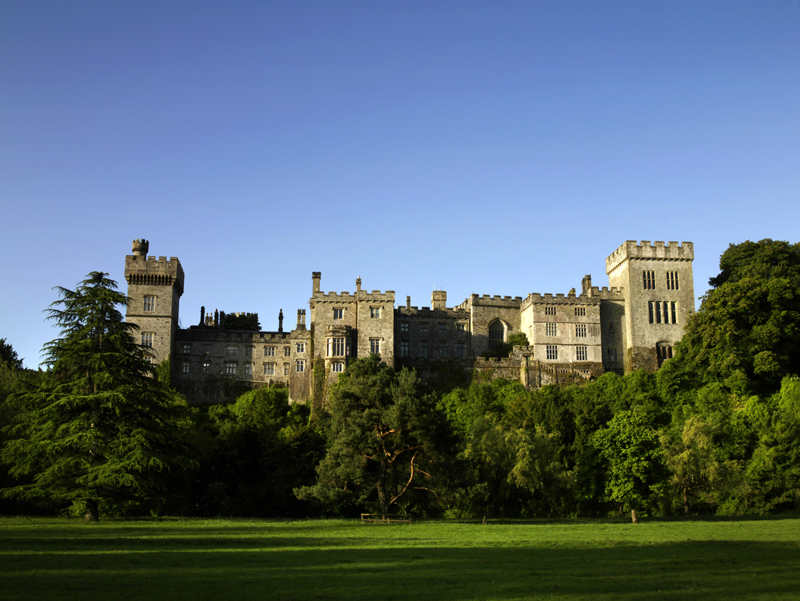 Another magnet for global political figures and celebrities, 5-star Dromoland Castle is the ancestral home of the O'Brien family that traces its roots 1000 years back to the famous High King of Ireland Brian Boru. 400 acres of Irish heaven include a top-rated golf course, walking and cycling trails, tennis, hiking, horse riding and pony carriage rides, traditional archery, falconry, fishing and clay shooting. Deluxe décor and luxury living include a spa, afternoon tea, casual and fine dining that once earned a Michelin star. 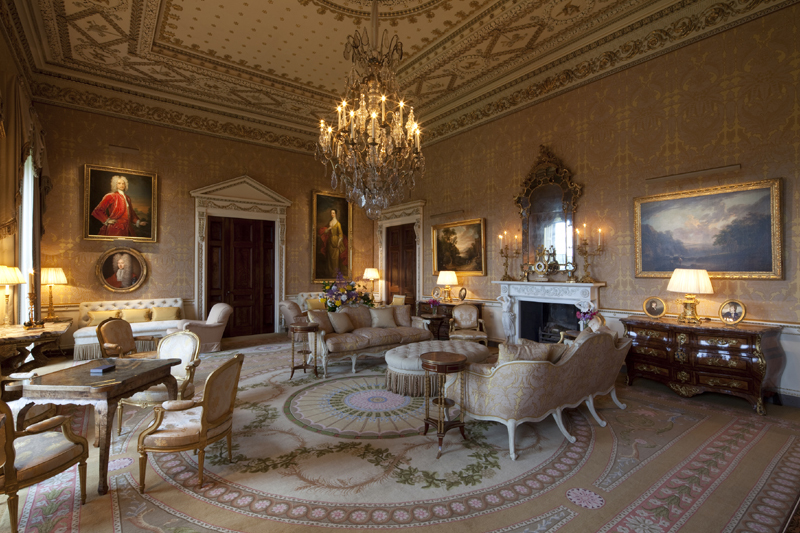 Your travel imagination may picture your castles with gothic towers, but don't miss Ireland's most celebrated Regency / Georgian mansion. With only 20 guest rooms, you'll feel like you're lord of the manor at this 5-star Georgian country house nestled on 600 acres at the foot of the scenic Slieve Bloom Mountains. It's the ultimate mix of old world charm and modern home and hotel comforts – and perfect to take over for a special, destination family or even business event. Voted #1 Irish luxury castle hotel, Ballynahinch is an elegant 17th century castle with magnificent views over 700 acres of woodland and rivers. Relax indoors by one of six open log fires or dine in elegance at one of Irelands' best restaurants. Take long walks or cycling tours with backdrops against the 12 Bens Mountain range along the Wild Atlantic Way. Or climb onto a boat for a guided trip of its famous salmon and lobster fishery. Lord and Lady Erne still dwell at the historic seat of the Earls of Erne, magnificent Crom Castle in Irelands' beautiful Fermanagh Lakelands (pictured top). But the castle's West Wing can be yours, it's available year round for up to 12, with even a cook provided if you wish. Nearly 2000 acres at Crom are a unique nature reserve with one of the largest semi-natural woodland remaining in Ireland, the largest surviving area of oak woodland in the country, and one of the largest freshwater habitats in the British Isles. You can see two rare butterflies and pine-marten, the largest heronry in Ireland, wild geese and deer. Some of the most notable names of Europe and the Americas over the last few centuries have visited and stayed at this 12th century castle of the Dukes of Devonshire. Fewer than 30 guests at a time enjoy truly regal hospitality, with use of the castle and estate facilities, and even the Duke's personal butler and staff. The Castle kitchens create formal, informal, indoor and outdoor meals from local and on-site ingredients. Live like the Irish nobility with salmon fishing, golf, horse riding and racing, kayaking and boat trips, even kite surfing, scuba and hot air balloon rides. 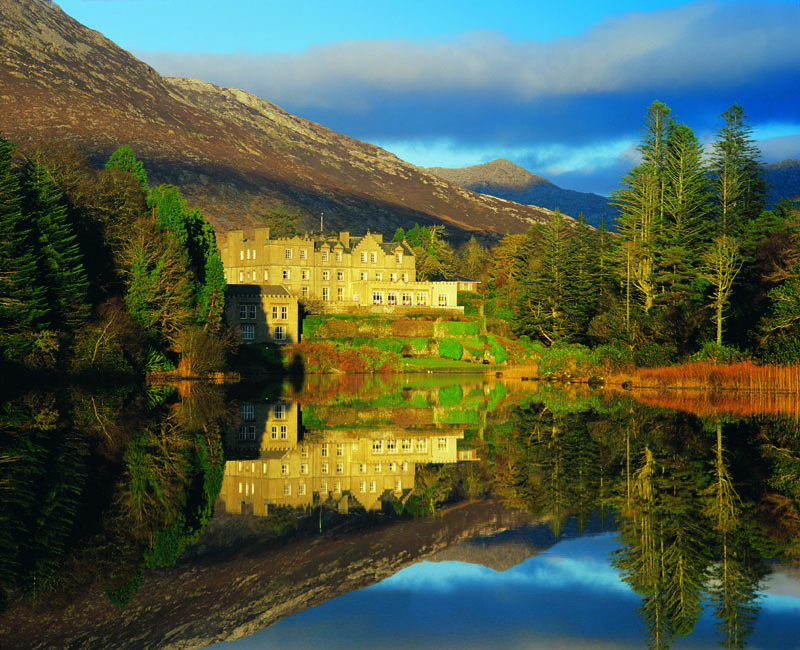 Make sure your next vacation to Ireland includes a stay fit for a king on one of the Emerald Isle's historic castles.